The BBC Press Office has confirmed that the first two episodes of the new series of Survivors will be broadcast on BBC1 between 22-28 November 2008. A fairly detailed plot summary of the second episode is available from the BBC Press Office. The BBC has also confirmed that Survivors will be available on the BBC’s HD (High Definition) Channel, and that the official web site accompanying the series will be named ‘Survivors Interactive’. As previously reported on this blog, the press release also indicates that the entire six episodes of the first series will be available through the BBC iPlayer ‘Series Stacker’ service. Issue 21 of SciFiNow magazine includes a fully-illustrated five-page ‘Preview Feature’ on the new Survivors – written by the author of this blog. The article, ‘Worlds Come Tumbling Down’, includes comments from cast members Julie Graham (Abby Grant), Zoe Tapper (Anya Racyznski), Nikki Amuka-Bird (Samatha Willis), Paterson Joseph (Greg), Chahak Patel (Najid), Philip Rhys (Al Sadiq), Shaun Dingwall (David Grant); series creator Adrian Hodges; Head of Series and Serials Kate Hodges; and original series director Pennant Roberts. SciFiNow 21 is available now, with a cover price of £4.00. A full-colour five page feature on the new series of Survivors appears in the latest edition of SFX magazine (No.176, dated December 2008). Written by Nick Setchfield, ‘Survival Instincts’ includes interview quotations from show-creator Adrian Hodges; actors Paterson Joseph, Philip Rhys and actress Julie Graham, and is illustrated by a range of official BBC promotional stills. The opening 90-minute episode of the new Survivors got its first press screening, on Tuesday 21 October, at the Apollo West End Cinema in London’s Piccadilly. In attendance were many members of the Survivors cast and crew, including show-creator Adrian Hodges and actors Julie Graham (Abby Grant), Shaun Dingwall (David Grant), Nikki Amuka–Bird (Samantha Willis); Phillip Rhys (Al); Zoe Tapper (Anya) and Chahak Patel (Najid). The showing was previewed by introductions from Ben Stephenson (Controller, BBC Drama Commissioning) and Adrian Hodges, and included the showcasing of the new series logo. The episode concluded with a ‘Coming next’ preview of the series’ second episode. The BBC has confirmed that the new series of Survivors will be made available on the iPlayer under the Series Stacker service. That means that shortly after each new episode has been broadcast is will be added to the iPlayer service as an additional episode, rather than replacing the previous week’s instalment. Over the course of six weeks, a streaming version of the entire first series will build up. For the week following transmission of the sixth episode of Survivors the entire first series will be available to view online. The BBC online shop is advertising a two-disc DVD of new Survivors with a release date of 5 January 2009 and a retail price of £29.99. The release number is given as: bbcdvd2812. If this date is not revised, then the DVD release will follow within a couple of weeks of the transmission of the sixth and final episode of the first series. You are among the lonely few to live and now you must survive in a strange new world where things that were once safe are made disturbing and unsafe – it’s our own world but recycled, Re-imagined and reused. Set in the present day, Survivors focuses on the world in the aftermath of a devastating virus which wipes out most of the world’s population. What would we do? Orion publishing, which previously announced that a new edition of Terry Nation’s 1976 Survivors novel would be released in November 2009, have confirmed a revised release date of 6 November 2008. The book is now available for pre-order from the usual online retailers including Amazon. Interviewed on BBC News on 12 October 2008, Doctor Who supremo Russell T Davies predicted that the revival of Survivors will be ‘terrific’. Watch the interview online on the BBC News web site. 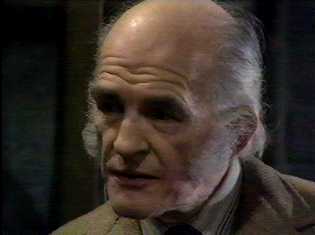 Respected character actor Peter Copley (who appeared in the role of schoolteacher Dr Bronson in the first episode of Survivors “The Fourth Horseman” in 1975) has died at the age of 93. Obituaries have appeared in The Guardian and The Telegraph. A complete three-series DVD boxset of Survivors will be released on the 2-entertain label on 24 November 2008. Previous plans to release a complete box-set of the series were thwarted by the collapse of the DDHE group (which had released each of the three series on DVD in turn between 2003 and 2005). The set will be available from the usual high-street outlets and online retailers including Amazon and Play.com. 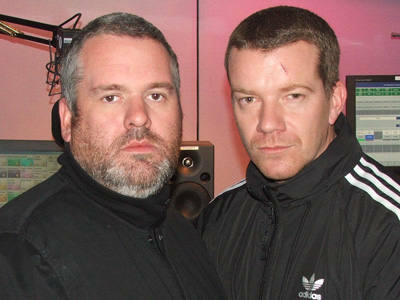 Survivors‘ actor Max Beesley (who plays the role of Tom Price) appeared on the 2 October 2008 edition of the Chris Moyles BBC Radio 1 show, to discuss his work on the show and many other aspects of his career. Beesley described the new Survivors as “absolutely fantastic”. The show is available on the BBC iPlayer service for seven days following transmission. Beesley’s interview begins 1hr and 49mins into the programme.